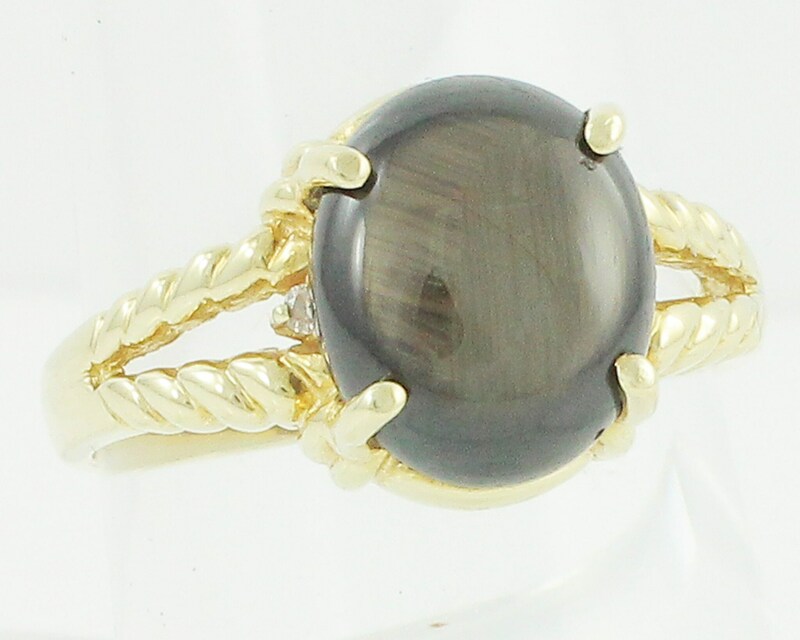 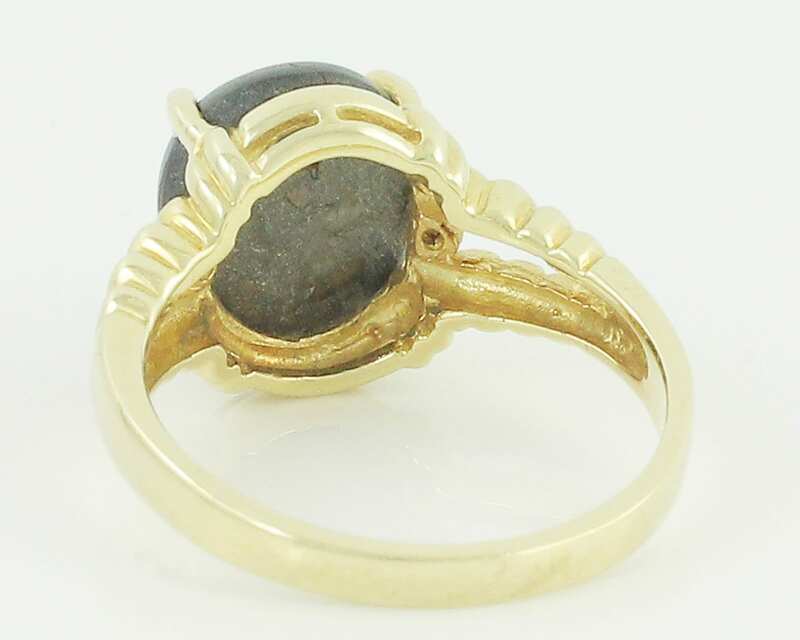 Vintage 1960's 14K Yellow Gold, Natural Black Star Sapphire, and Natural Diamond Ring. 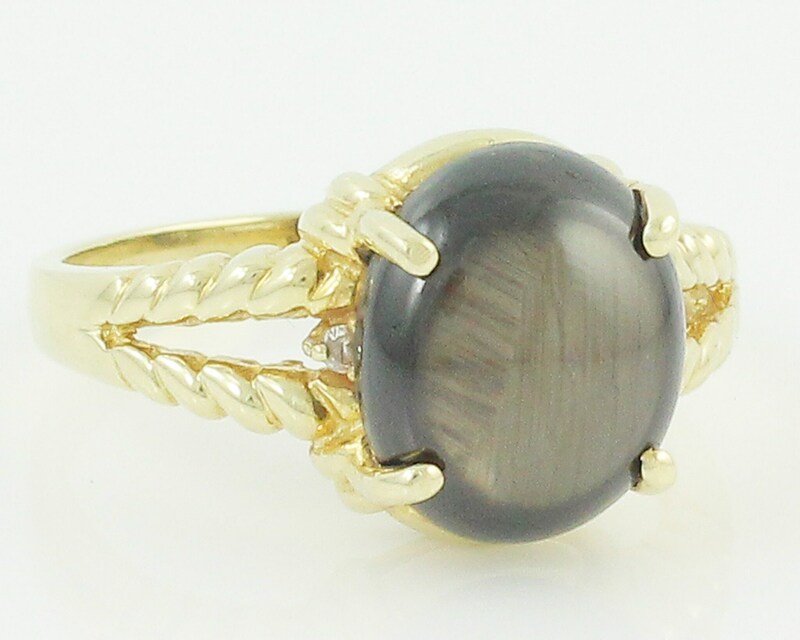 This 14K ring with split twisted shank has a prong set natural black star sapphire of 5 carats and two round single cut diamonds with combined total weight of .02 CT TW (as estimated by measurement). 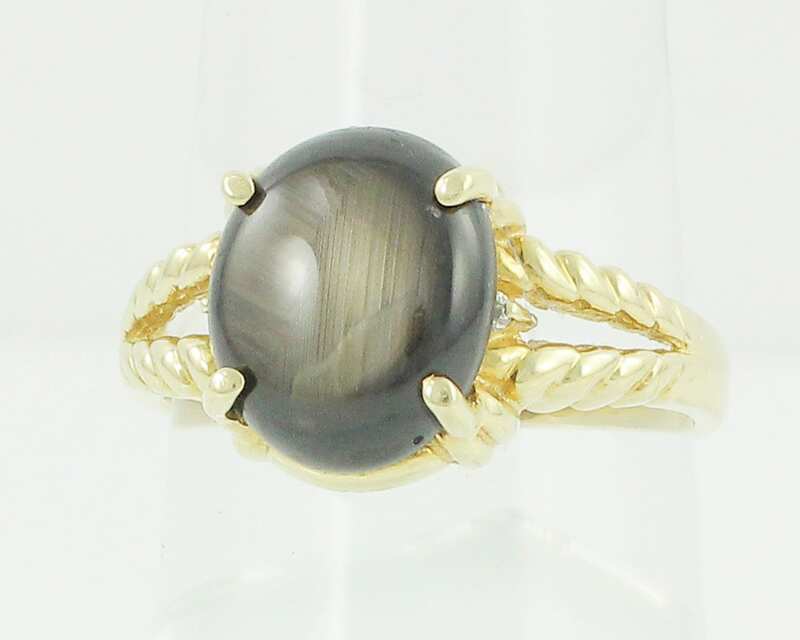 The sapphire has very diffuse asterism. 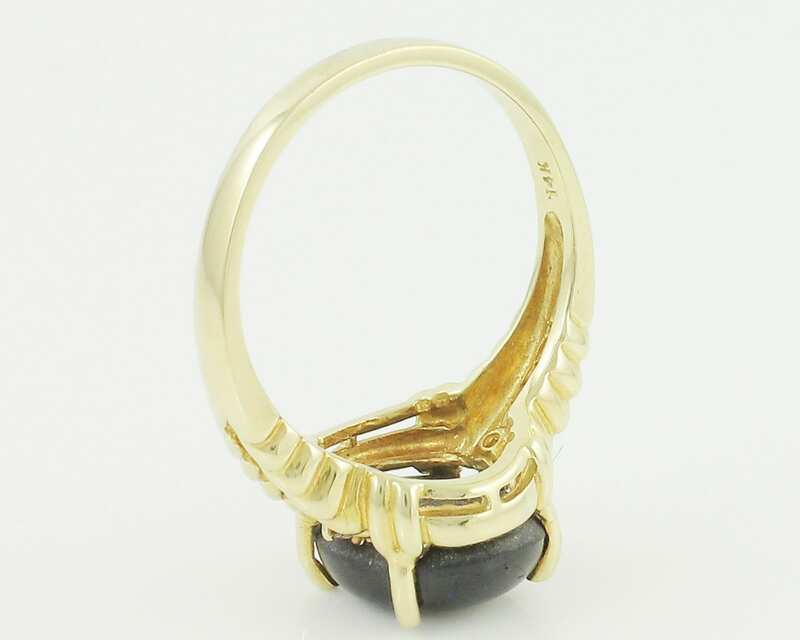 Head Size: Ring measures 111 mm north-south by 9 mm wide east-west at the head and measures 2.1 mm wide on the shank at the reverse.